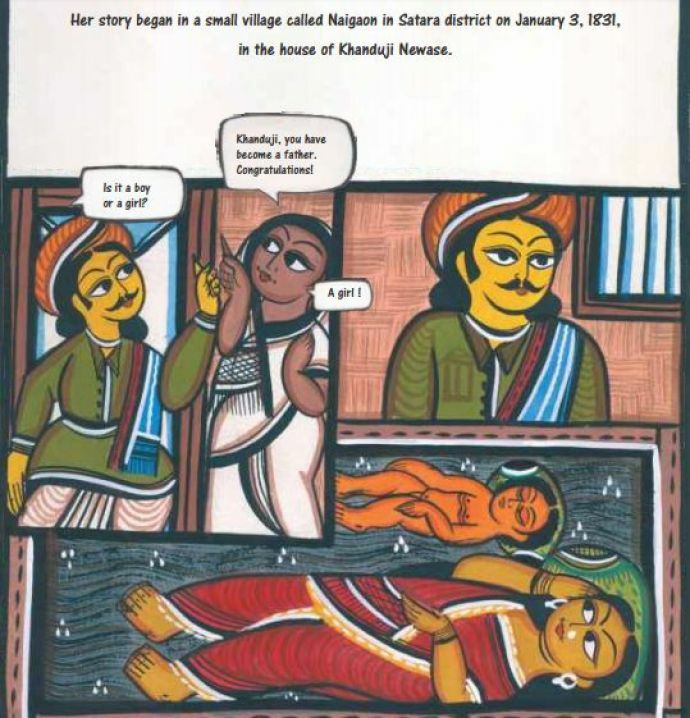 The novel, illustrated in the Patua style of West Bengal, traces the social reformer's journey and her efforts in women's emancipation. 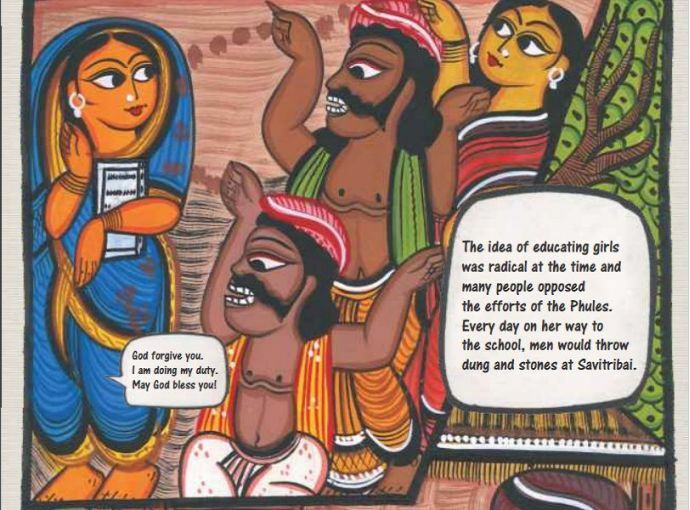 Savitribai Phule, a pioneer in women's education, was born on this day in 1831 in Satara, Maharashtra. 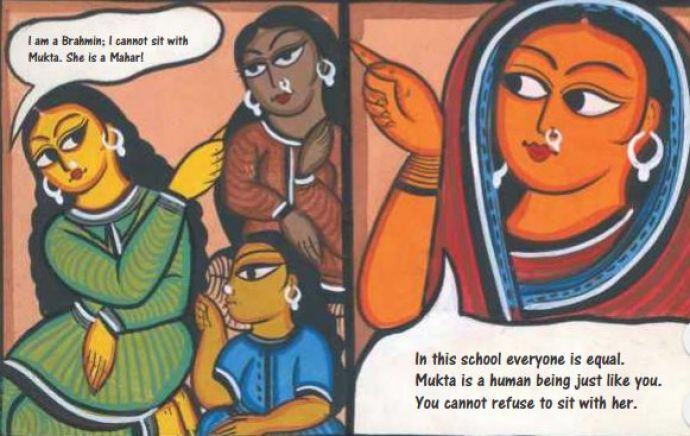 The social reformer and poet was an able partner in her husband, Jyotirao Phule's efforts in uplifting women from their deplorable condition in pre-Independence India. The sketch is a simple yet apt representation of what Savitribai Phule continues to symbolise: a pillar of strength which has lent inspiration to women through two-odd centuries, to break free of convention that oppresses them, and forge their own identities. 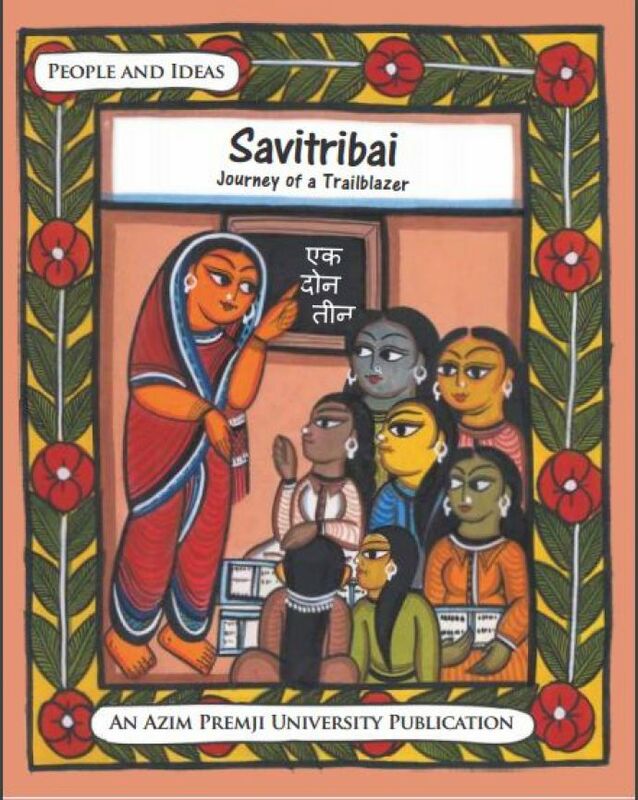 In 2014, the Azim Premji Foundation brought out a graphic novel titled Savitribai: Journey of a Trailblazer. ...to her marriage and subsequent efforts at social reform with her husband Jyotiba- complete with the hurdles that came her way. The novel is a quick yet engrossing read, strikingly illustrated with colourful images by Sumon Chitrakar and designs by Jayshree Nair-Misra. The complete 24-page novel is available for free sharing here. Our respects to this remarkable lady!